PCN Flight West: DL Capt. John I. Ashbaugh Jr.
DL Capt. John I. Ashbaugh Jr.
Belated notification of the passing of Marine Corps WWII veteran and retired DL pilot Captain John Ashbaugh. Born May 13, 1921 John Isaac Ashbaugh Jr. was 90 years of age at the time of his passing September 9, 2011. John hired on with Delta 12-31-1950 and was based DFW. CAPT. 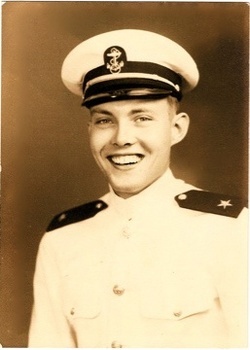 JOHN I. ASHBAUGH JR.
WINSLOW - John Isaac Ashbaugh, 90, of Winslow, Ark., passed away Friday, Sept. 9, 2011, at his home. He was born May 13, 1921, in Washington, D.C., to John Isaac Ashbaugh and Ruth (Padgett) Ashbaugh. John joined the U.S. Marine Corps in 1943 and served as a pilot during World War II. He remained in the Marine Corps Reserve and retired in 1971 as a lieutenant colonel. John was a pilot for Delta Airlines for 23 years. He lived in Georgia, Texas, and retired to Winslow, Ark., to raise Morgan horses and Jersey cows. He had a wide array of interests including animals, shopping, collecting, reading, gardening and wood carving. He was preceded in death by his siblings, Frank and Alec Ashbaugh and Mary Ashbaugh Bobo; by his granddaughter, Cherie Michelle Vanlandingham; and grandson, Jeb Stuart Ashbaugh. He is survived by three sons, John Isaac Ashbaugh of Mount Pleasant, N.C., Russell George Ashbaugh of Concord, N.C., and John Marc Ashbaugh of Winslow, Ark. ; three daughters, Sherry Allene Blondeau of Senoia, Ga., Ruth Ashbaugh Covin of Flower Mound, Texas, and Elizabeth Jolley Ashbaugh of West Fork, Ark. ; 18 grandchildren; and eight great-grandchildren. Cremation arrangements are under the direction of Nelson-Berna Funeral Home and Crematory of Fayetteville.